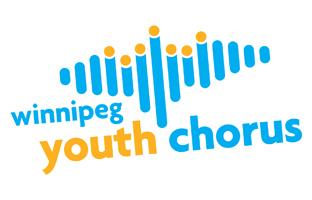 The Winnipeg Youth Chorus Inc. (WYC) strives to provide an opportunity for young singers to develop: choral skills, choreography skills, dramatic skills and performance skills. Welcome to the Winnipeg Youth Chorus! We provide a variety of performance opportunities for the singers from performances within Winnipeg to performances outside of Canada, recording, special small group performances and many other opportunities. Most importantly, the WYC is here to provide a positive experience for singers in order to develop their self concept and self esteem. Friendships, family involvement, commitment and hard work are stressed at all times within a structure that is always caring but also demanding in terms of time, energy, drive and commitment. The WYC is flexible and innovative in style believing that choral excellence is achieved through proper training, hard work and instilling within the members a love for what they do, an enthusiasm for performance, and pursuit of excellence. Click on one of the buttons below to learn more about each ensemble under the Winnipeg Youth Chorus banner. For kids ages 8 to 14! For kids aged 12 to 22! Selected from current Senior members!